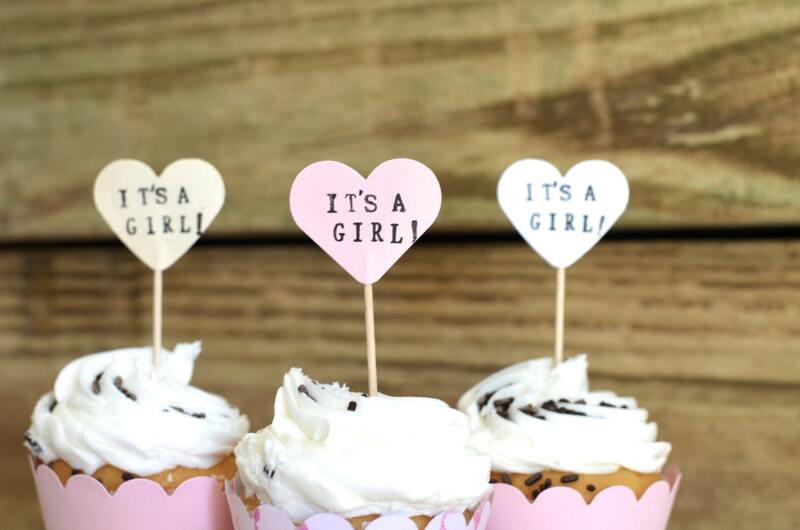 A sweet addition to a baby shower or gender reveal party - or as part of a birth announcement! One dozen hand-stamped hearts as seen on On To Baby (check out the darling shower here: http://www.ontobaby.com/2012/08/a-sweet-baby-shower-in-red-coral-and-teal/) - you choose the paper color! 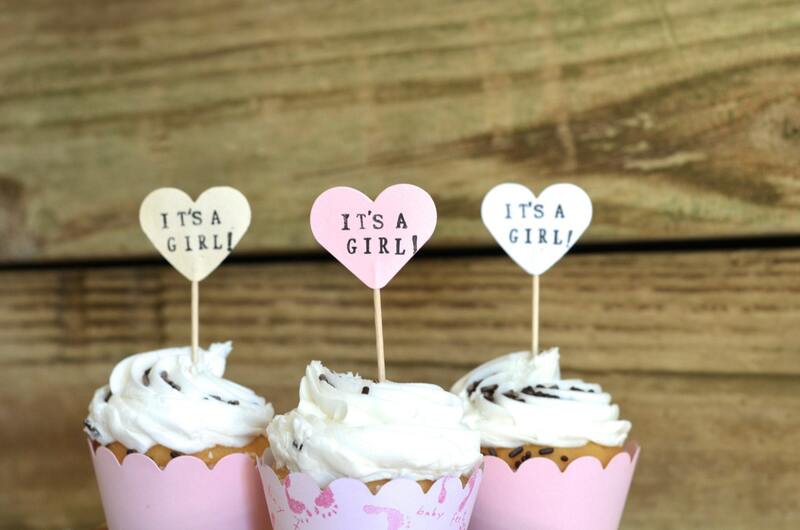 We hand stamp the front of each pick with the phrase "IT'S A GIRL!" and because each is done by hand they are each slightly different and unique. Our standard colors are Black ink on your choice of vintage, white or light pink paper, but we love special orders - send us a note and we'll set up a custom listing just for you! Each heart is 1 1/2" wide and the picks stand about 3" tall. These were PERFECT - so cute!!!! Very cute item. They are very simple, but that's what I wanted. I'll update my review with a pic after my baby shower.